APRIL 9, 2019 – SAN DIEGO AND LAS VEGAS – SaaSMAX Corp., the channel’s leading managed marketplace for B2B software as a service (SaaS) and cloud software solutions, is introducing six cloud software solutions to IT channel partners the Channel Partners Conference & Expo, April 10-12, 2019, at Mandalay Bay Convention Center, in Las Vegas. VARs, MSPs, agents, consultants and system integrators are invited to visit Booth 1471 to learn more about earning recurring revenue from these channel-friendly business productivity and cybersecurity solutions. SaaSMAX, Corp. is the channel’s leading managed marketplace for IT solution providers and technology advisors to meet and do business with B2B software as a service (SaaS) and cloud software companies, and for SaaS companies to fast-track their indirect channel programs with the right reseller partners. 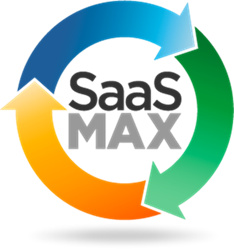 SaaSMAX was named a 2017 Gartner Cool Vendor—SaaS with Innovative Business Models and a 2018 Channel Futures Channel Influencer. SaaSMAX’s proprietary business intelligence partner profiling and search solution PartnerOptimizer was recognized as a leading player in the 2019 Channel Data technology stack by Forrester. To learn more about SaaSMAX, visit www.SaaSMAX.com, subscribe to our blog: www.WiseSaaS.com, and follow us on Twitter @SaaSMAX.